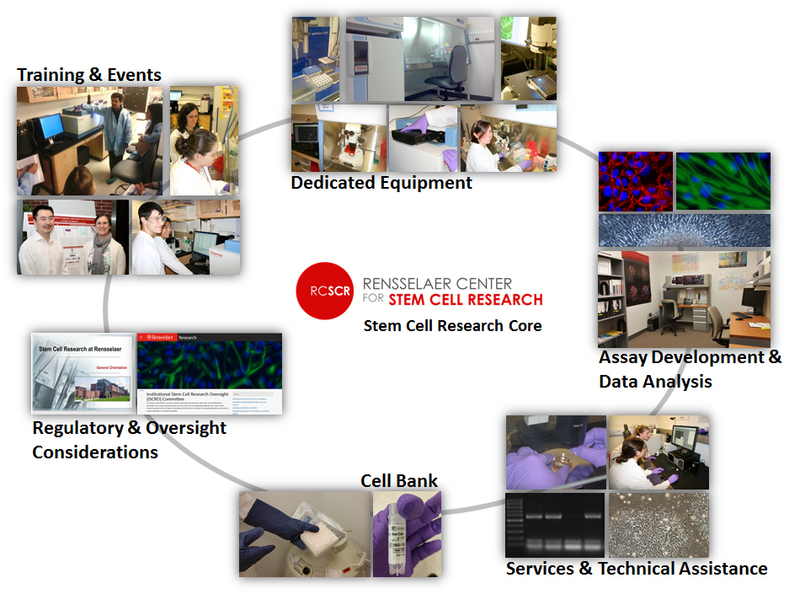 The Stem Cell Research Core is a recharge facility designed to provide equipment and training to for all investigators, academic and industry, currently engaged in or seeking to pursue stem cell and mammalian cell biology research. Our state-of-the-art multi laboratory facility supports collaborative projects involving cell biology, biomedical engineering, chemical engineering and informatics research. We offer consultation for academic and industry partners regarding the design and performance of investigations, including the selection of cell types, phenotypic analysis, and imaging strategies. The laboratory is a fully-equipped aseptic cell culture facility that supports hypoxic studies and rapid workflow development including automated liquid handling, high-content and time-lapse imaging, and specialized algorithms for data analysis. We also provide stem cell-dedicated cell culture equipment, including tabletop centrifuges; two Olympus CKX inverted microscopes; two Olympus SZX stereo microscopes; 4 °C, –20 °C, –80 °C and liquid nitrogen storage; dedicated space for derivation of Induced Pluripotent Stem Cells (iPSCs) and transgenic cell lines. Take advantage of theoretical and technical training, including the fundamentals of stem cell biology and pluripotency; stem cell-specific culture conditions and techniques; principles of developmental biology that guide stem cell science; methods of transgenesis; considerations for live cell imaging and in vivo studies. 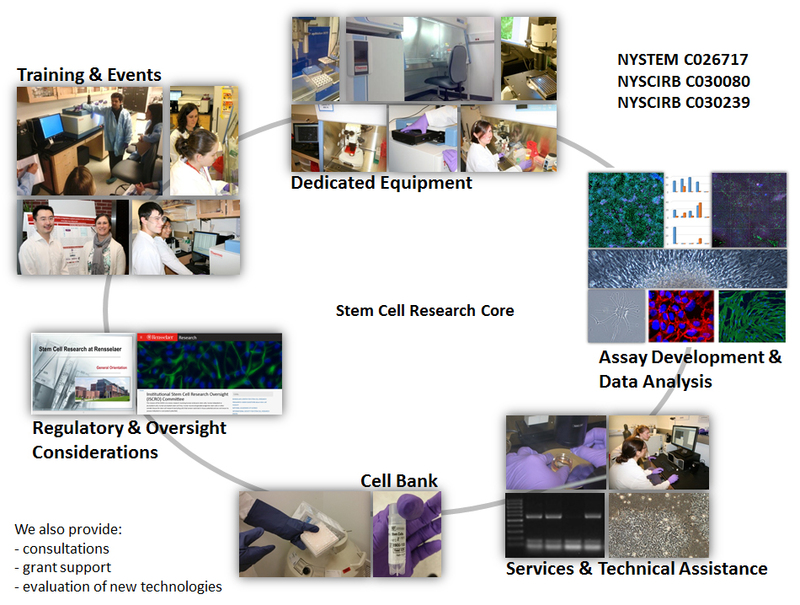 Rensselaer’s Stem Cell Research Core has received support from the New York Stem Cell Initiative (NYSTEM C026717) and the New York Spinal Cord Injury Research Board (SCIRB, C030080 and C030239).